Most successes in life are made possible by one driving force — passion. Atopalm is no exception. Dr. Raymond Park, creator of MLE and founder of Atopalm, began his journey when two of his three sons could not be cured of their acute atopic dermatitis, otherwise known as eczema. Dr. Park devoted his life to developing the first viable bio-identical non-prescription formula for healing and protecting the skin barrier — and succeeded in reaching his goal. During his years of hard work developing this revolutionary skin care ingredient, Dr. Park was faced with the struggle of needing to devote his time and energy to his breakthrough formula, which meant he was not spending that time with the very sons he was working so hard to heal. 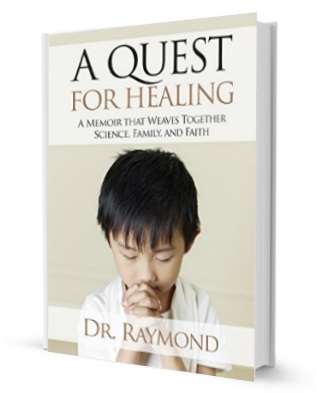 A Quest for Healing is the story of Dr. Park and his dedication to discovering multi-lamellar emulsion while facing the unforeseen difficulties of his own cultural conditioning, troubled relationships, and expectations of himself as a father. A Quest for Healing is available for digital download at an introductory price of $0.99. This price is available for a limited time only, so don’t delay!